Tuck’s solo sculpture exhibition, “Maquette to Monument,” at the Lafayette (IN) Museum of Art opens May 11 and closes September 2, 2018. Near the art museum is the Haan Museum of Indiana Art. Visit their sculpture garden to see more of Tuck’s figurative bronze sculptures. Tuck’s head of Pontius Pilate is part of the National Sculpture Society’s 84thannual exhibition on display at Brookgreen Gardens, Pawley’s Island, South Carolina. The show runs August 4 through October 29, 2018. 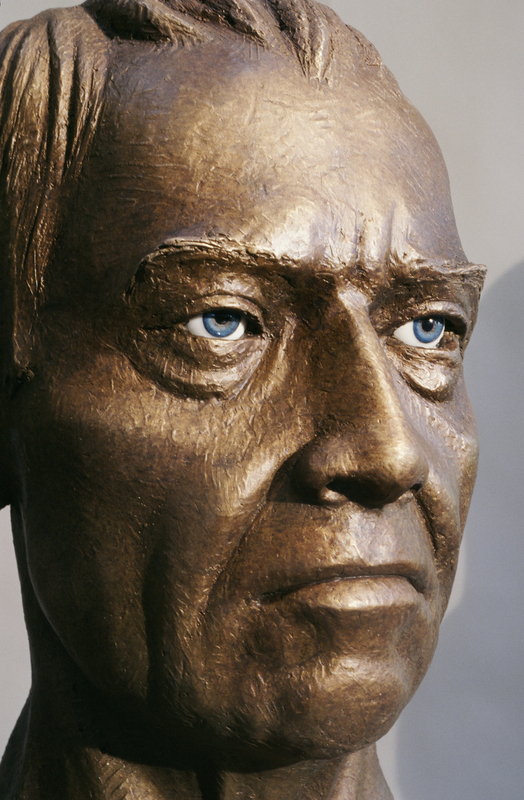 Detail of Tuck Langland’s sculpture of Pontius Pilate. This entry was posted in Exhibition and tagged Brookgreen Gardens, Haan Museum of Indiana Art, Lafayette Museum of Art, National Sculpture Society. Bookmark the permalink.